What Are The Problems With Legalizing Marijuana? 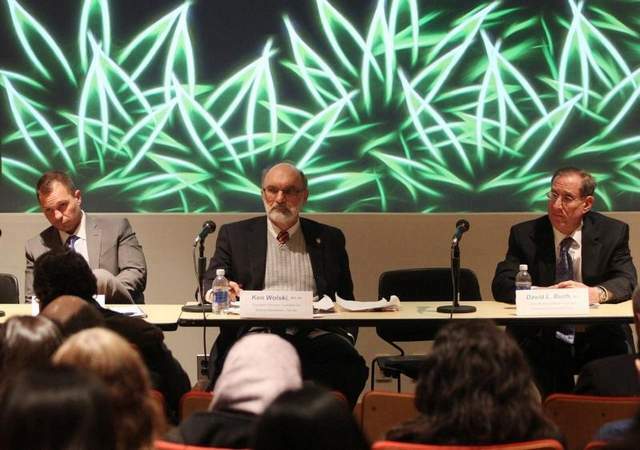 On March 25, 2014, I took part in a panel discussion at the Bloustein School about marijuana policy. 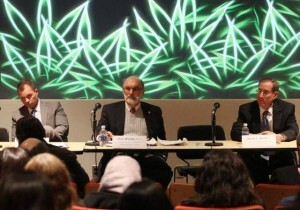 It turned out that all the panelists were in favor of decriminalization. The author of the article did a great job summarizing the event and the opinions, so I won’t repeat it. I do want to mention that while I disagreed with Ken Wolski, a RN and the Executive Director of the Coalition for Medical Marijuana, I appreciated that he did not engage in ad hominem attacks. But…he talked about how babies and veterans need marijuana (always be a tad skeptical when someone holds up babies or veterans as a reason to do something – they are trying to manipulate the audience and they often use anecdotal stories rather than data). The two biggest arguments that people typically put forth for the full legalization of marijuana are that we will (a) stop locking people up and (b) that we can tax it and energize our economy. Our drug policies have been poorly thought out since the Reagan era (stricter laws, racist laws, harsher sentences, less emphasis on treatment), and clearly, we need to consider making some serious changes. It costs over $55,000 to incarcerate someone in NJ and around $60,000 to do so in New York. The Vera Institute of Justice has found that the costs are enormous in states all over the country. It costs more to incarcerate someone then it does to give them substance abuse treatment or send them to college for a year. (I organize the student and alumni activities and hand out scholarships for students in recovery at Rutgers. We serve over 100 students and I spend less then it costs to lock up 1 person in NJ). We don’t have to legalize marijuana to stop locking people up. 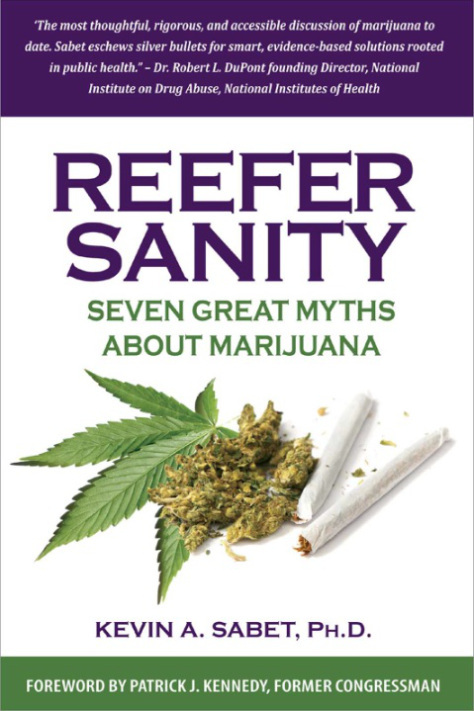 We can decriminalize marijuana (basically, we can make it like speeding). We could free up police to work on real cases (a point that David Simon has made over and over). We could give people substance abuse treatment and still save money. And people wouldn’t have to go through life as half-citizens, trying to explain away a marijuana arrest from when they were 19 or 24. If you legalize marijuana, more people will try it. This was true for alcohol, and it is true for prescription drugs. We’ve seen a surge in prescription drug abuse (depressants, stimulants and opiate painkillers); this surge is due to the fact that these drugs are legal and have the societal stamp of approval. Last year, there were almost 3 million arrests involving alcohol. They included public intoxication, drunk driving and of course, underage drinking. Some policy makers argue that legalizing marijuana will lead to more arrests (that’s the best article on marijuana I’ve ever come across). The costs of underage drinking are high. If we legalize marijuana, we will probably have to create all kinds of new research centers, PSA’s and treatment programs to deal with increased underage marijuana use. The other major point that the pro-legalization crowd makes is that we can make a lot of money by taxing marijuana. Colorado claims that they are raking in big dollars to the tune of $40 million in expected marijuana tax revenues in 2014. Colorado’s budget in 2013 was $20 billion dollars. So the expected revenue is 1/500th or .002 of the total budget. The pro-legalization people are being quite disingenuous when they print or say “$40 million tax dollars” without explaining how much of the budget that actually is. For every dollar we bring in on taxing alcohol, it costs us about $10 in public dollars (medical costs, criminal justice system – that’s without measuring lost workplace productivity or family strife). I’m willing to go further than President Obama and posit that marijuana is 1/2 or 1/3 as bad as alcohol: so for every dollar of taxes we get in for marijuana, I think it is fair to guess that we would spend 3 to 5 dollars in public money on medical care, treatment or the criminal justice system. That is a revenue negative situation. Colorado and Washington legalized marijuana on January 1, 2014. Over the next 3 years, we will get to see how this experiment plays out. I hope that NJ (and our neighboring states) take a wait and see approach. I expect that we will see more accidents, higher rates of addiction, more medical problems, more arrests and not enough marijuana tax dollars to pay for these new problems. I might be wrong, but I doubt it. To learn more about decriminalization and the economic effects of criminalization and legalization, check out the work of Kevin Sabet, a policy expert who is actually younger than me. 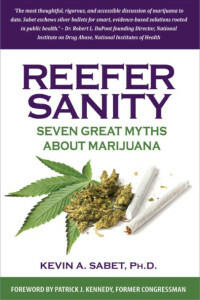 He wrote a fantastic book titled Reefer Sanity. The NJ Task Force on Heroin and Other Opiates was created in March of 2012. We held hearings around NJ throughout the summer and fall of 2012, and we heard from a variety of professionals and experts. I also spoke with about 100 parents whose children had died from using opiates. Much of 2013 was spent on discussing, arguing over and writing the report. In the fall of 2013, we were struck with a series of delays. I was crestfallen, but hoped that the state would eventually release the report. It has been a long, cold winter. It was made colder and darker by the continued explosion of the opiate epidemic in NJ and around the nation. High profile deaths made and continue to make news. I’ve been more concerned about the low-profile deaths – those of our children who quietly die in public restrooms, abandoned cars or their own bedrooms while their parents are sleeping. My world was brightened last Thursday when Chairman Van Ess came to me in person and informed me that the Task Force Report would be released today. I am proud of the work that Task Force members and GCADA staff put into this. I am most pleased that we have made good on our promise to the parents that have suffered from the tragic loss of their children and given a forum for their story and proposed a series of solutions to the heroin plague. This is only the beginning though, and good policies must continue to grow out of this. Some of our suggestions can be implemented immediately…others will take longer. Over time, we will see what works and what doesn’t – and what suggestions should be strengthened and intensified.